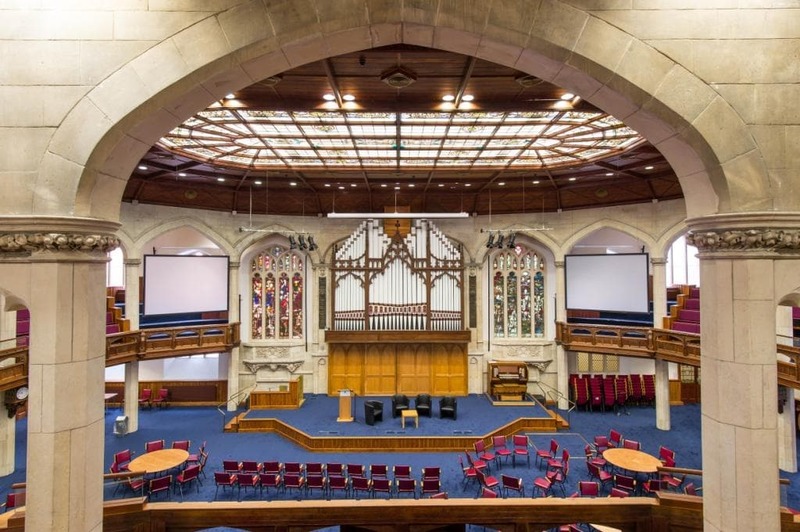 Church House is the headquarters of the Presbyterian Church in Ireland and a significant landmark in Belfast City Centre, located at the junction of Fisherwick Place, Great Victoria Street, Howard Street and Grosvenor Road. 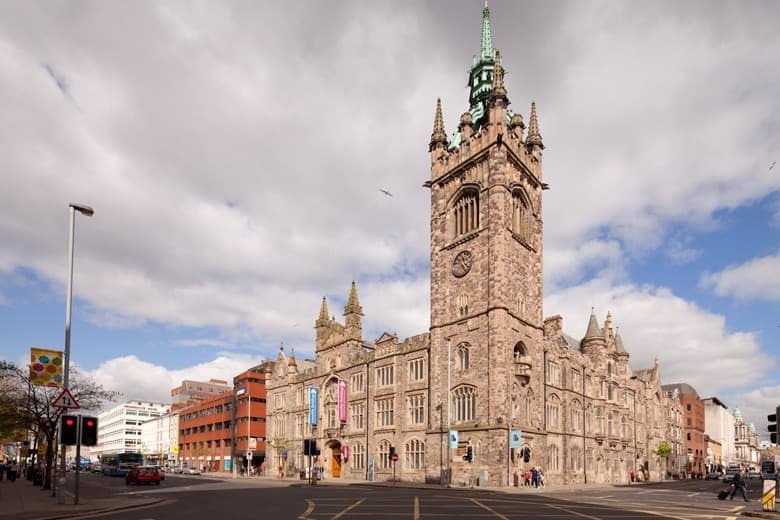 The Grade B1 listed building which was completed in 1905 (and officially opened by the Duke of Argyll) is designed in the Gothic style and its imposing presence is projected through a 40m high clock tower which contains Belfast's only peal of 12 bells. Felix O’Hare were appointed directly by the Presbyterian Church to improve facilities within the building while maintaining normal operations. 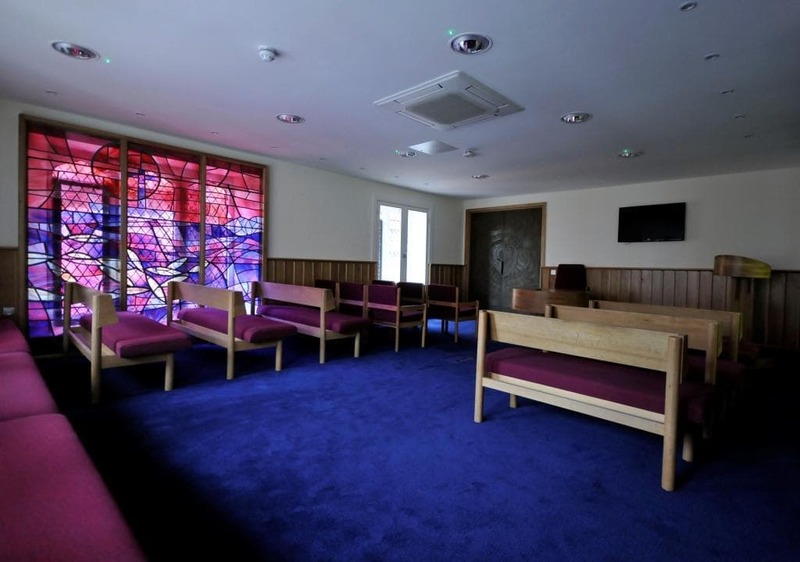 In a carefully planned approach involving 6 phases over 3 internal levels we completed full refurbishment of the main church hall to create a permanent exhibition space, retail units, café, additional toilets, stair and passenger lift facilities. These changes were achieved through major structural alterations including the removal of an existing spine wall and the installation of new landings and lift shaft. There were also structural alterations to the Fisherwick place entrance with temporary supports to the structure enabling the existing foundations to be removed and new mini piled foundations installed with a new structural steel frame connecting to and supporting the existing structure. The main hall was stripped back and a new high quality internal fit-out undertaken, this included striping back the timber ceiling and wall panelling wainscoting which was fitted to the entire radius on two levels. 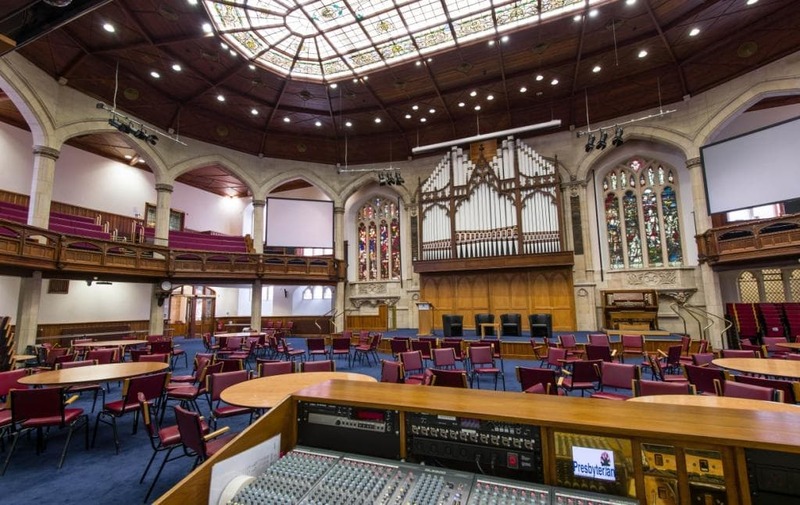 Other key works included installation of decorative hoardings with “interpretative graphics” (to tell the history of the building and future vision) and a major AV installation with new televisions, microphone points, speakers and sound control desk. 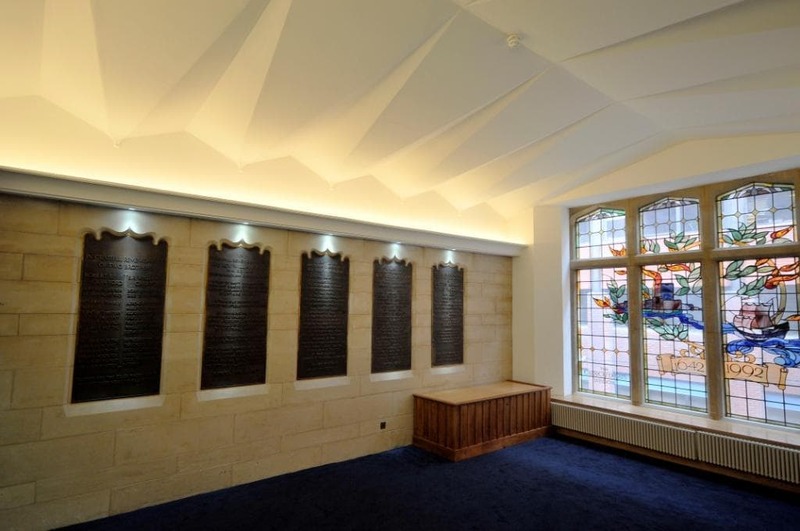 A new stepped public gallery was installed at high level with fully upholstered pews while externally specialist stonemasons repaired the façade. We supplied and installed ‘feature’ grand European oak entrance doors and fanlights in the main reception. The doors were over three meters in height and included many ecclesiastical features ranging from linen fold and tracery panelling to trefoil shaping and moulded architrave. These doors are now the focal point of this iconic city centre building. We recognised of the visual impact of modern materials next to more traditional materials therefore we worked with the design team to substitute contemporary material for more traditional ones where possible and to develop the architectural details particularly at the interfaces so that the works could be planned in a manner to achieve the highest possible quality standards.